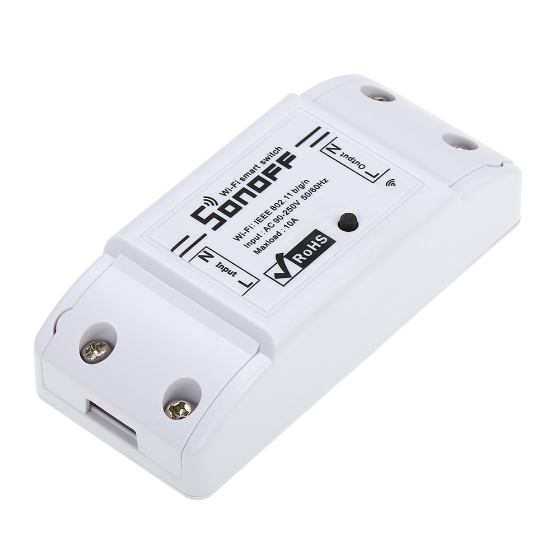 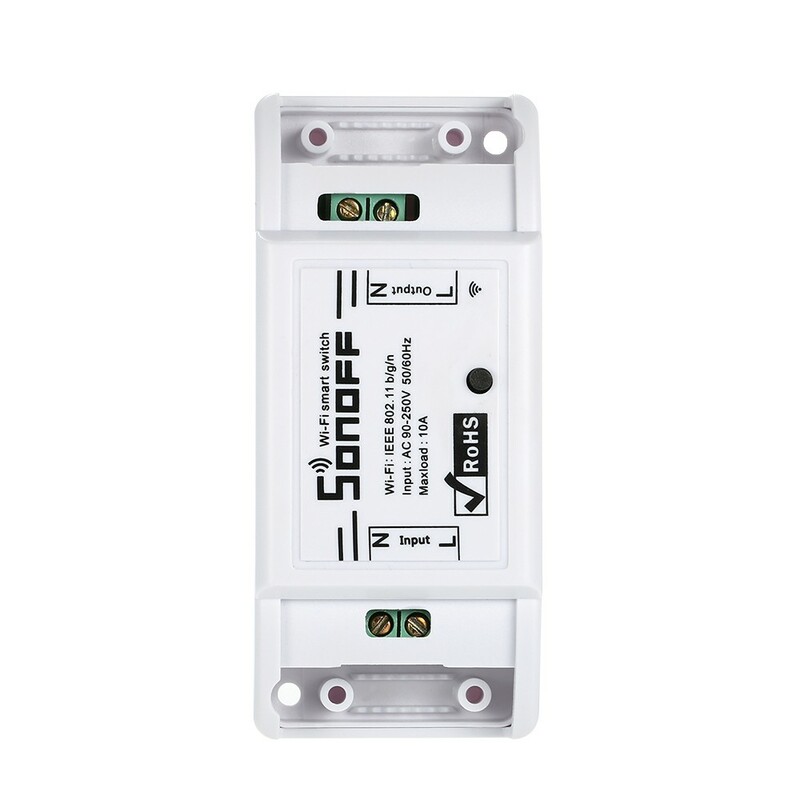 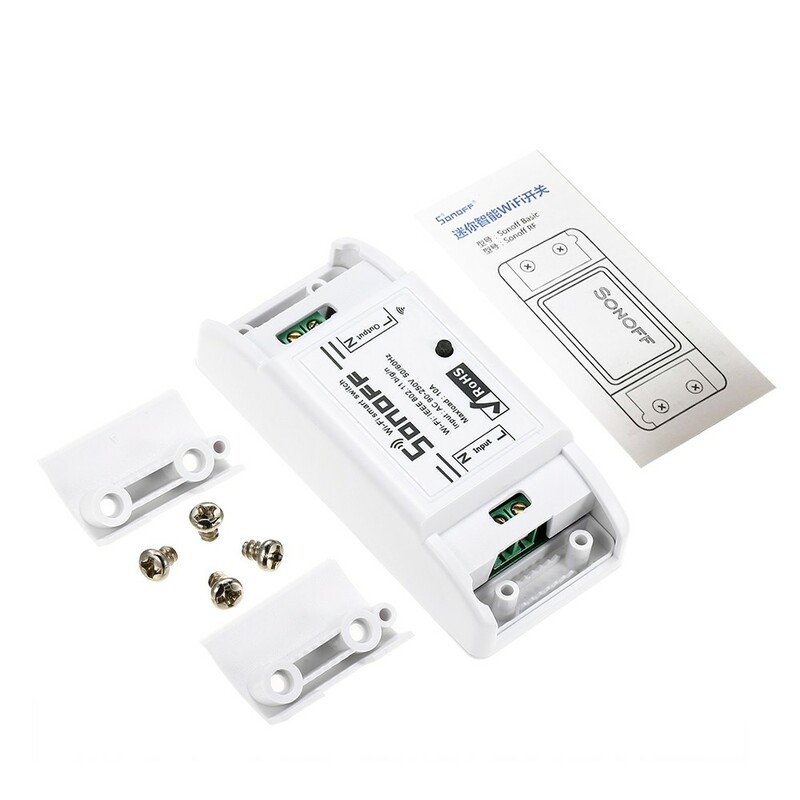 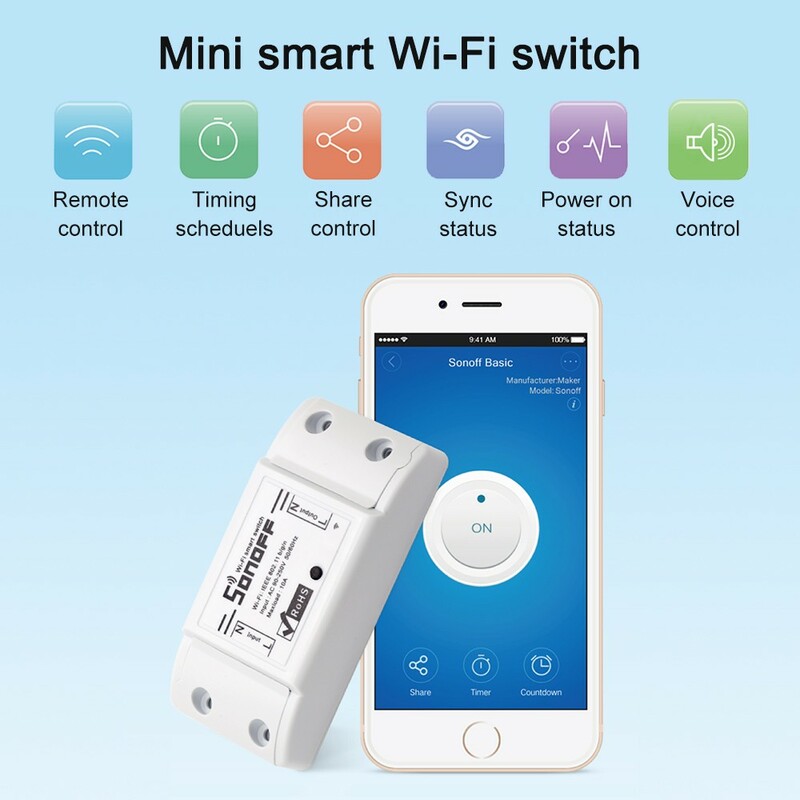 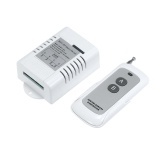 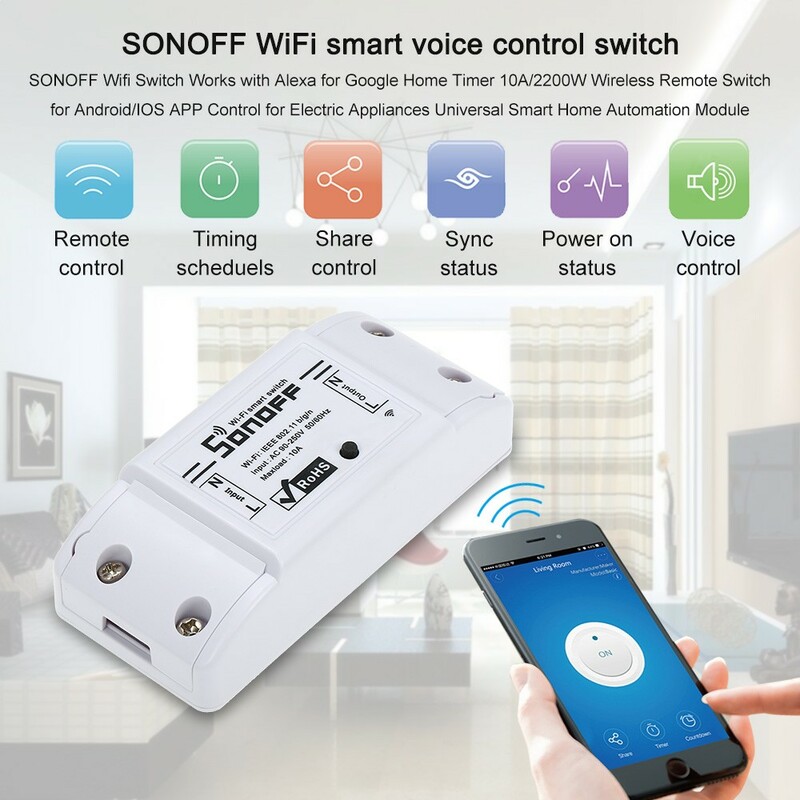 Sonoff wireless remote switch is a low-cost, affordable device that allows users to remote turn on/off connected appliance of different types and brands via app EWeLink from anywhere in the world, and it can provide you with amazing smart home control experience. 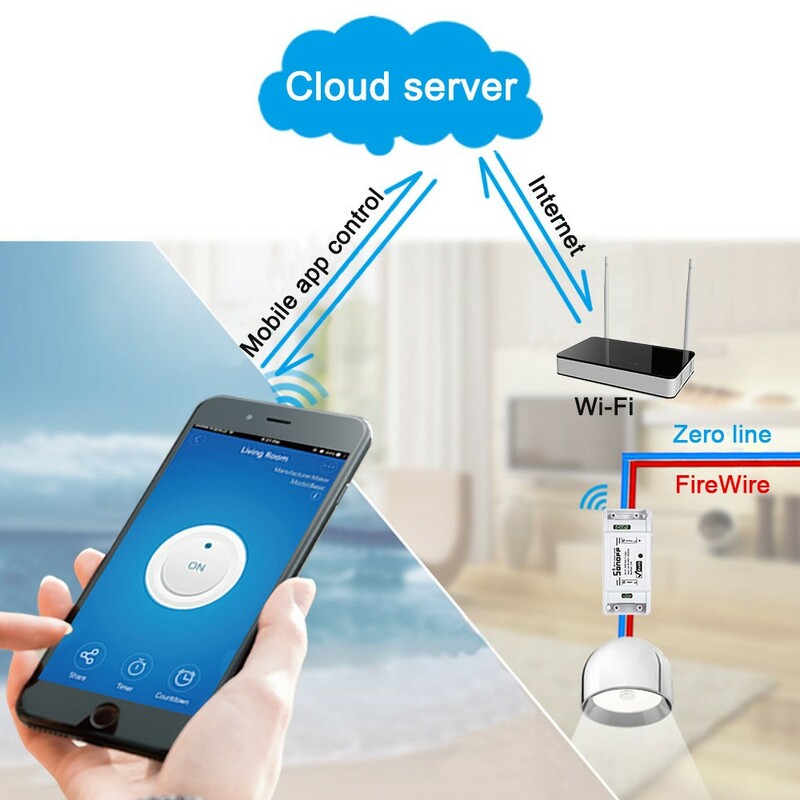 It sends data to cloud platform through the WiFi Router, which enables you to remotely control all appliances with APP eWeLink on your smart phone. Sonoff makes all your home appliances smart, as long as your phone has network you can remotely turn on or turn off your appliances from anywhere at any time. 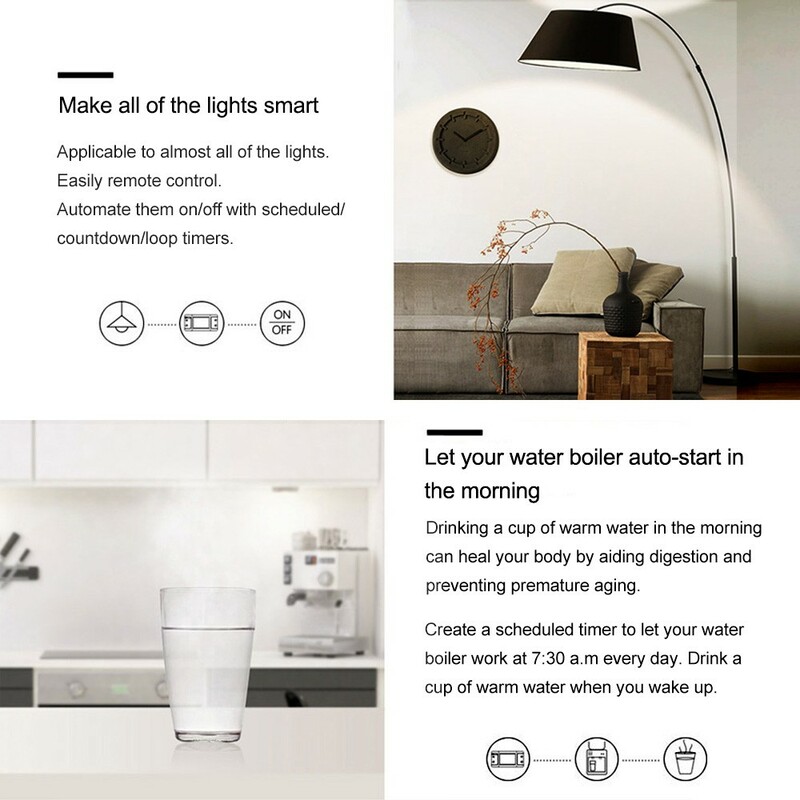 And by setting timing schedules for your appliances, you can maintain an carefree life. 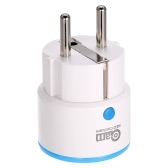 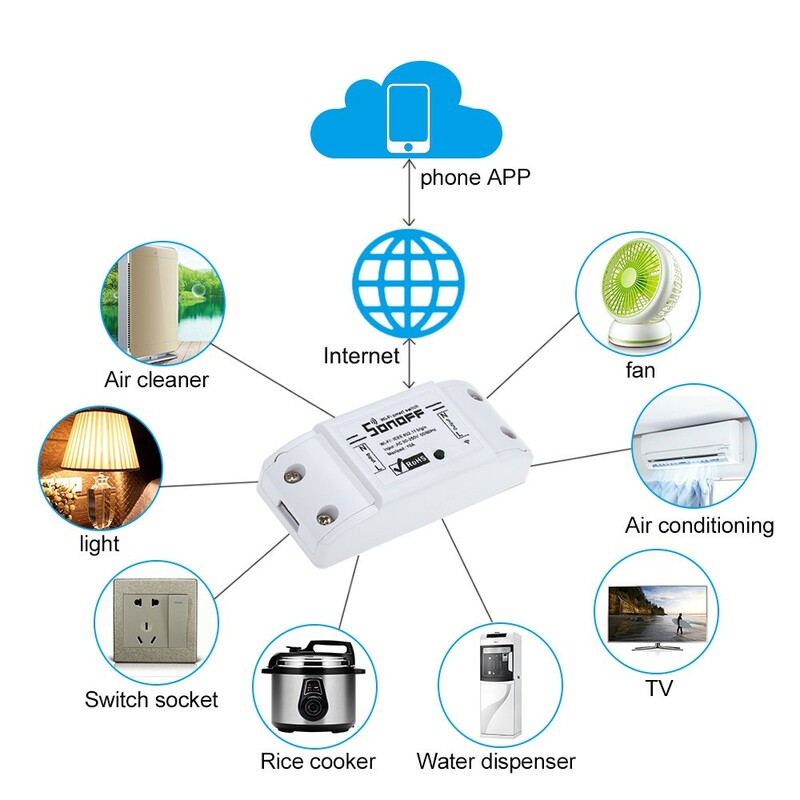 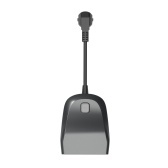 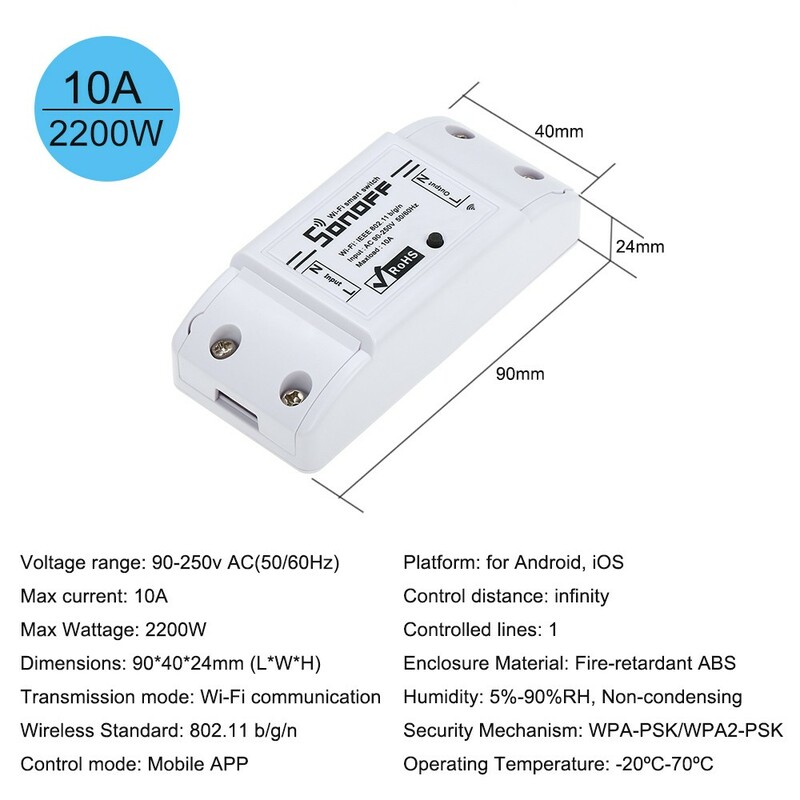 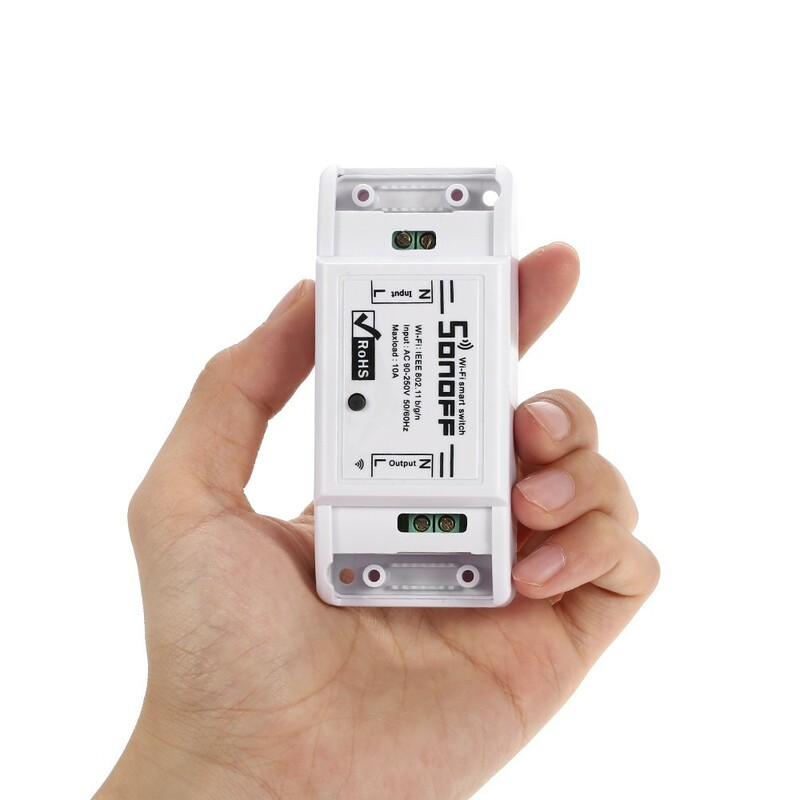 *Supports remotely turn on or off connected appliances, for example light, electric kettle, electric rice cooker, electrocar, etc. 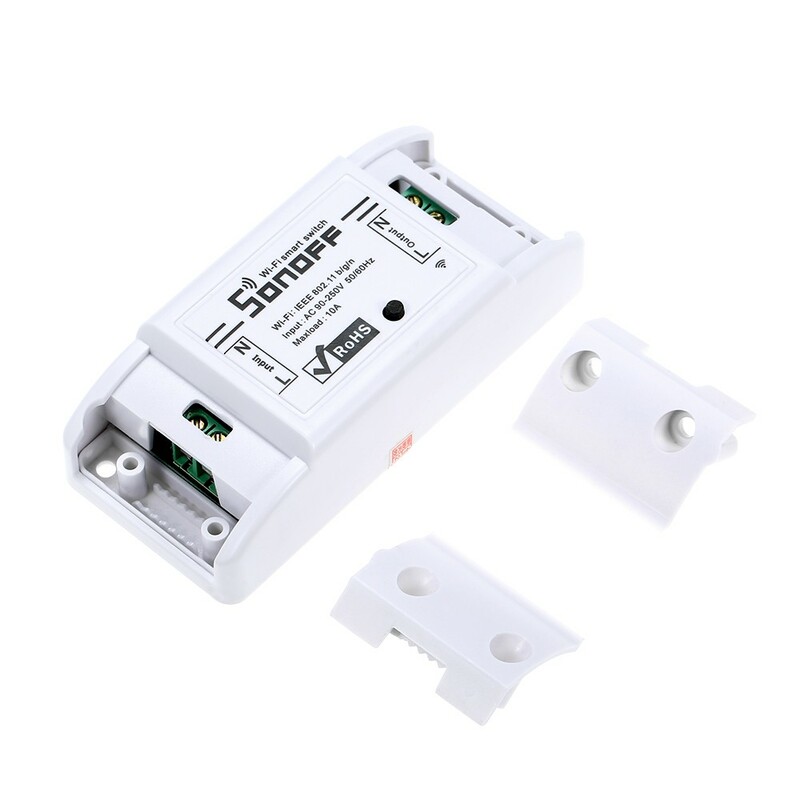 Q Could this be used to open a garage door via the Internet? 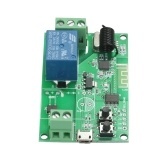 Would I need additional components? 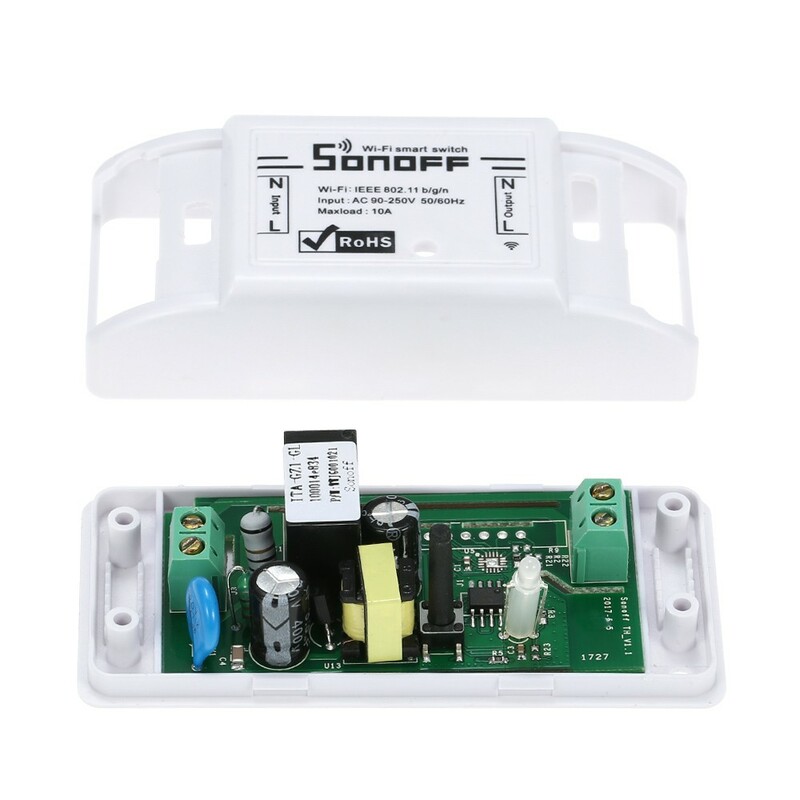 A Sorry,it does not support open a garage door via the Internet. 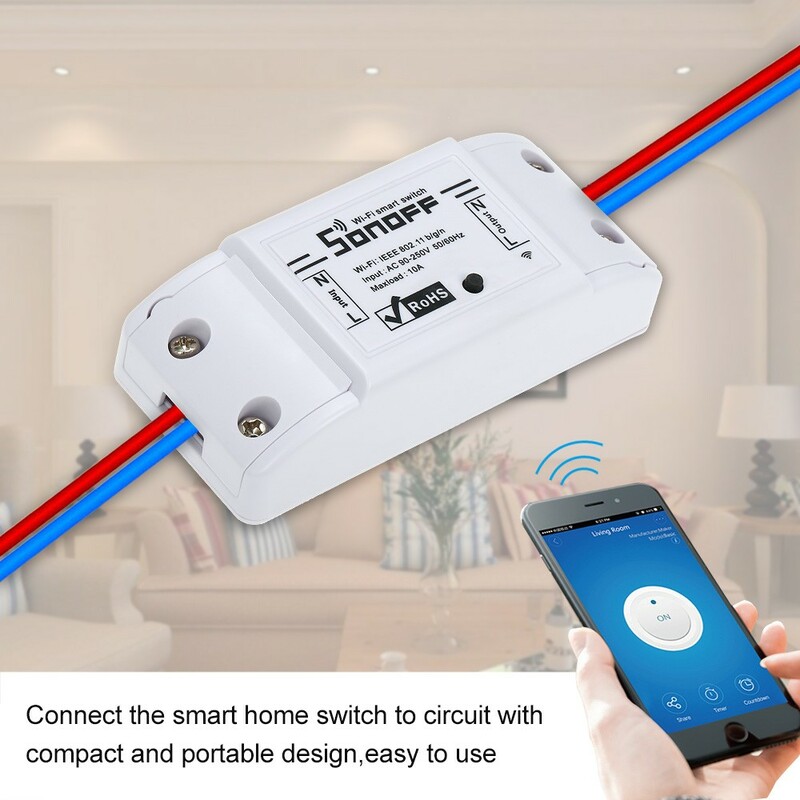 You need to buy a smart garage door， thanks. 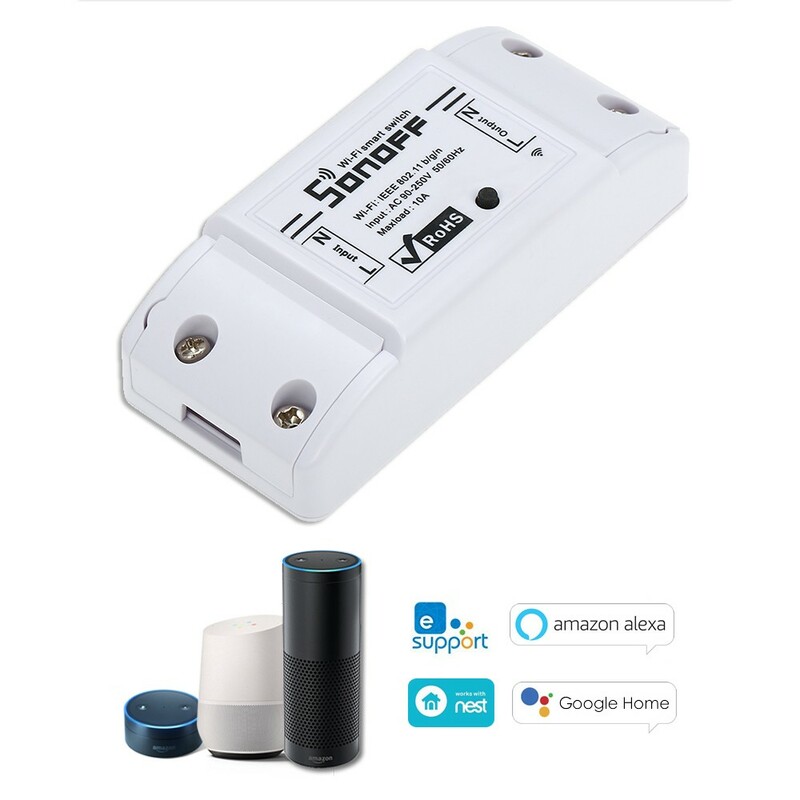 Q can it be password protected? 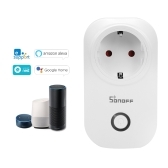 A Sorry, it does not support, thanks . 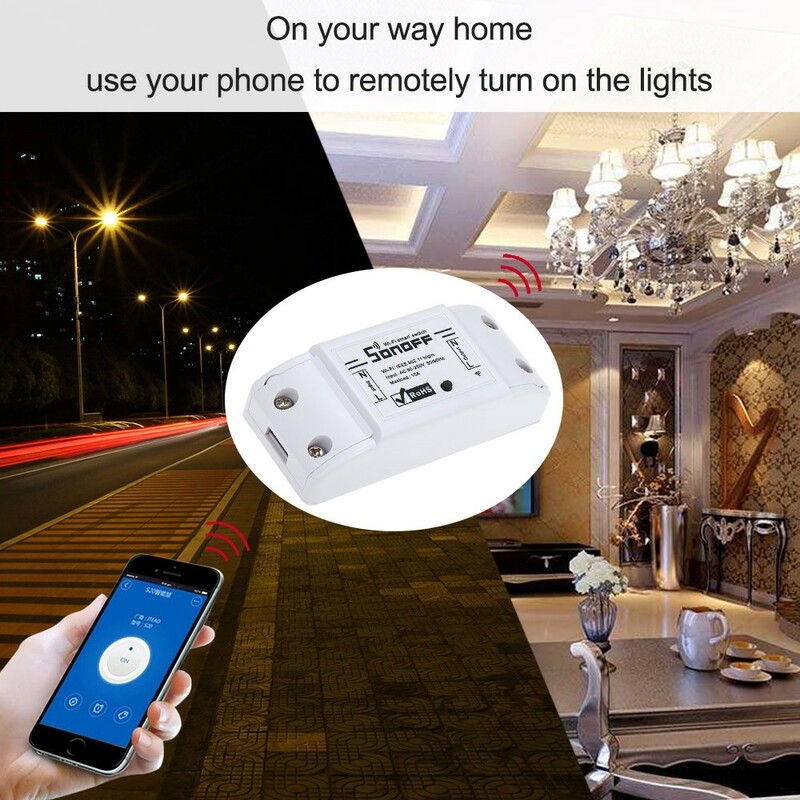 work perfectly, fast shipping to italy. 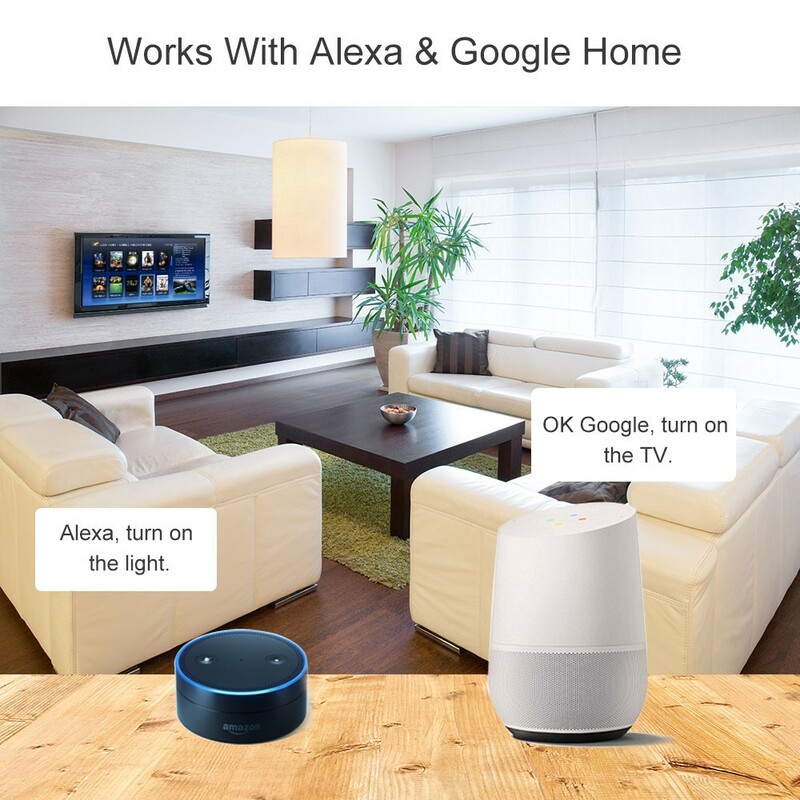 Works without problems with google assistant.